Get tips on how to get pregnant faster with ConceiveEasyÂ® TTC KitÂ™ System. 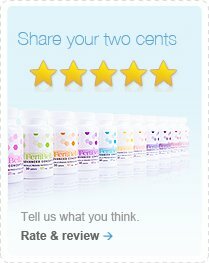 1 ConceiveEasy is a monthly reproductive support system. Each month is indicated by the number on the label and contains a different and unique pharmaceutical grade blend. 2 Use ConceiveEasy in chronological order, beginning with Month 1. You may start taking ConceiveEasy right away, at anytime during your cycle. 3 It is important that you take ConceiveEasy every day, taking 1 tablet with meals. If you forget to take a tablet, you may resume again the following day. 4 Once pregnancy is achieved, you may discontinue use of ConceiveEasy and begin taking a daily prenatal vitamin. Always read and follow usage directions and keep out of reach of children. We recommend making an appointment with your healthcare provider for a preconception checkup. See how ConceiveEasy® is changing lives of women like you. These statements have not been evaluated by the FDA. This product is not intended to diagnose, treat, cure, or prevent disease. ConceiveEasy® TTC Kit™ System is a registered trademark of The LBC Health Group. *Product is free to try for 30 days. Pay only a small s&h fee. WHILE SUPPLIES LAST. View Offers for full details.